Jessi Haggerty is a Registered Dietitian, Certified Intuitive Eating Counselor, and Certified Personal Trainer with a private practice in Somerville, MA. She received her Bachelors of Science in Nutrition and Dietetics from Boston University and completed her Dietetic Internship at Oregon Health and Science University. After working as a personal trainer for close to six years and completing her dietetic internship, Jessi took a detour on her career path to pursue a role as a Marketing Manager for Whole Foods Market, where she worked for three years before starting her private practice. 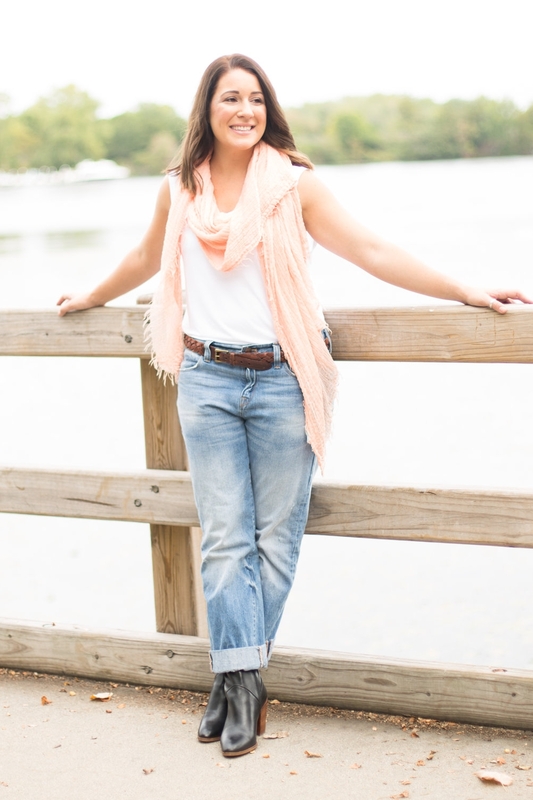 Today, Jessi uses her skills in nutrition and movement therapy and marketing to run her practice where she helps people improve their relationship with food and their bodies so they can show up for what matters most in their life. Jessi is a Health at Every Size® practitioner, focusing on intuitive eating and movement, and weight inclusive wellness. “My dad lost weight!” I screamed, taking a cue from my dad’s excitement at his Weight Watcher’s weigh-in. I was six years old and this was the first of a lifetime of messages that told me weight-loss was the holy grail of personal achievements. For most of my life, I was determined to find “the solution.” I was determined not to struggle with my weight in the way I saw almost every adult in my life struggle. Especially after being “warned” by doctors and adults that if I didn’t “watch what I ate” I could end up overweight. At the time I didn’t even know why people perceived being overweight as “bad.” I just knew they did. As I entered High School, I used my body like a lab rat, experimenting with different diets and workout routines. As my body began to change I was praised by family, friends, and perfect strangers, for "changing my body" but I knew that the diets I was self-prescribing weren’t sustainable. I wanted something more concrete. Some real answers backed by science. So, I decided to become an expert. Upon graduating High School I became a Certified Personal Trainer, and went to school to become a Registered Dietitian. By the time I graduated college I had been working as a personal trainer for almost five years, and was getting ready to combine my refined training skills with my new nutrition knowledge. At this juncture in my personal and professional journey, I knew that “diets” didn’t work, and I vowed to never put a client on a diet. I never had clients count calories, and I very rarely created meal plans. Time and time again I found that my my approach was helping my clients lose weight in the short term, but with little to no long-term success. I became frustrated. Was it me? Or was I just not attracting clients who were willing to do the work? I knew something about my practice had to change. As I continued down this road with these questions at the forefront of my mind, I realized that a staggering number (read: almost all) women were participating in my private and group coaching programs because they hated their bodies. Their disdain for their bodies was what was motivating them to want to lose weight in the first place, and even though I wasn’t selling a specific “diet”, my focus on weight loss was still perpetuating that cycle. I knew my work went so much deeper than just working to lower the number on the scale, but I still struggled with the question: how do we apply our knowledge of nutrition in the real world and care for our whole selves without becoming crazy obsessed with our diet and weight? The answer is multifaceted, and slightly different for everyone. As I began to dig deeper into the research, I found to really help my clients achieve health from the inside-out, I had to take the promise of weight-loss off the table and had to take a Health at Every Size® (HAES®) Approach to wellness while helping clients focus more on listening to their body’s internal cues, rather than external (such as a prescribed diet or meal plan) through the practice of Intuitive Eating. Now, almost 12 years later, I’ve evolved to use my expertise in nutrition and functional movement to develop a more therapeutic approach to wellness. One that goes beyond just lowering the number on the scale to help women understand and strengthen their relationship with food, and start making friends with their hips, thighs, arms, and belly, so they can focus on what really matters: ruling the world. I live in Somerville, MA with my man Jake and his sister, also named Jessi. Aside from the name confusion, we’re a happy little family in our cozy townhouse. I have a little sister who is five years younger than me. She is a teacher and advocate and I couldn’t be more proud of her if I tried. I love to cook and bake, and can’t wait to have a house with a proper dining room (or at least eat-in kitchen) so I can do it more often. I’m extremely sarcastic and I love to laugh. Most people are surprised when I tell them I’m an introvert. I’m great with people, and outgoing in the right social situation, but I’m as introverted as they come. My idea of a good time is a small gathering with a few friends. I also despise small talk and crave frequent alone time. I’m grateful to know lot of women doing really cool things. My mom especially. She owns her own third party distribution and logistics business. I’m proud that I now know what that means. My Dad was the one taking me to dance classes, leading up my Girl Scout field trips (true story), and taking my sister and I on surprise after school trips to the Carousel. Now, we’ve been replaced by Gracie, their deliciously adorable golden doodle. At the moment my favorite shows are Shameless, Catastrophe, and This is Us. I also enjoy watching reruns of Friends and How I Met Your Mother. I like music, but if I’m in the car the radio is usually off, unless I’m listening to a podcast. Some of my favorites include You Made it Weird with Pete Holmes, Food Psych, Here’s the Thing with Alec Baldwin, Women of the Hour with Lena Dunham, Magic Lessons, On Being with Krista Tippett, Good Life Project, WTF with Marc Maron, One Part Podcast, and Happier with Gretchen Rubin. Oh yeah, and mine, The BodyLove Project.